To get started, browse through our menu plans here. They are divided up by season (spring/summer and fall/winter) and each picture represents the 4 entrées for that week’s menu plan. You can view a larger version of the picture by hovering your mouse over each picture. Put a plan in your shopping cart by clicking on the “Add to Cart” button. 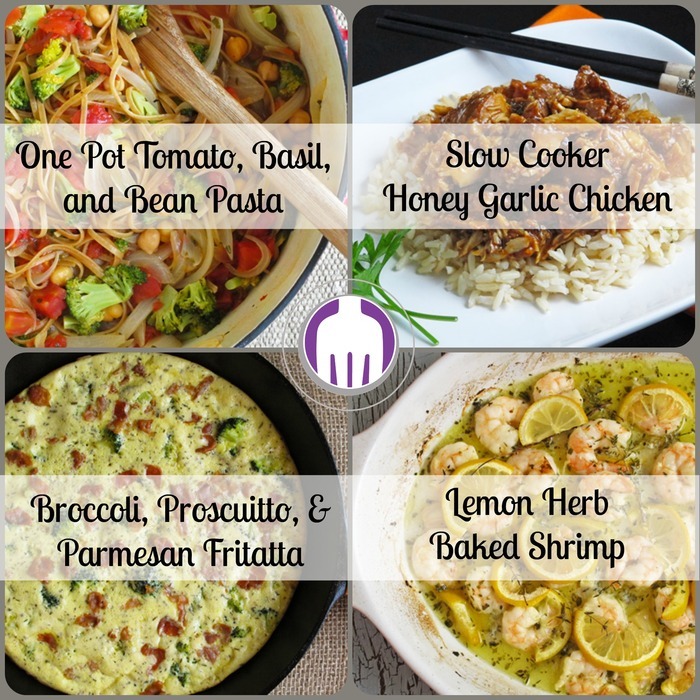 Each week’s menu plan is only $1.49 and includes recipes for 4 entrées, side dish recipes (usually 1 to 2 sides per entrée), a grocery shopping list and our “healthful” hints (strategies for simplifying a recipe, making ahead items or mixing it up). For a better deal, buy 4 menu plans for only $4.99. Once you have picked the plan(s) you want to purchase, click on the shopping cart icon. You will be directed to a secure page where you can enter your information to complete your purchase. Once your purchase is complete, you’ll be able to immediately download your plan(s) in PDF format. You will also receive an email with links for the PDF file(s). 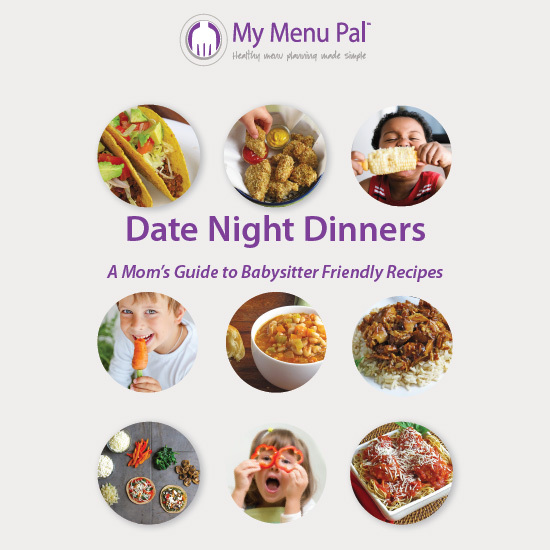 Each PDF contains the weekly menu plan, recipes for all entrées and side dishes, grocery list, make ahead suggestions, nutrition nuggets and cooking tips. Some menu plans may include a bonus recipe for a breakfast, snack or another dinner entrée. Heading into a grocery store without a list is a recipe for disaster. Studies show you buy more without a list so use our list and save both time and money. We provide you a complete shopping list with all the ingredients you need to make the meals on the menu that week. We also provide a handy key that specifies which ingredients are for what meal, where you might find that ingredients in the grocery store, and if that ingredients is on your “pantry list,” meaning you may already have it at home. Having your menus planned out in advance and tips on making some things ahead of time means that you can spend less time worrying over what’s for dinner. Our recipes are created with simplicity in mind so that you can spend less time cooking and more time with your family at the dinner table. Even an extra 5 minutes counts! And best of all, you can feel proud to put a healthy, homemade meal on the table without a lot of worry. **Mobile Friendly: Not at your computer or on the go? Our website is easily viewable from your tablet or smart phone.